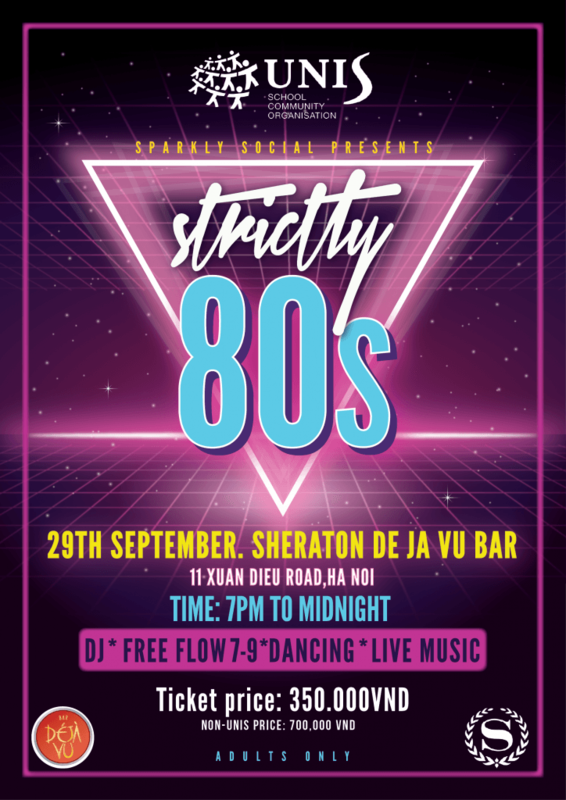 Strictly 80s Party – Get your tickets now! We have officially passed the one month mark of the school year! Next Saturday UNIS Hanoi hosts the Community Connections Fair and Flea Market. 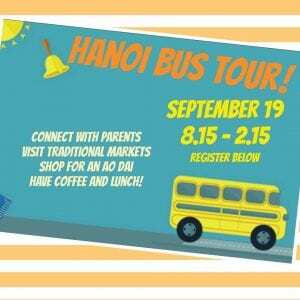 This is a great event for new and returning families to learn about all sorts of services that are available in Hanoi. And if you’ve been hanging on to a suitcase or box full of stuff that you don’t need, sign up for a table at the Flea Market – what you may no longer need could be a treasure find for someone else! 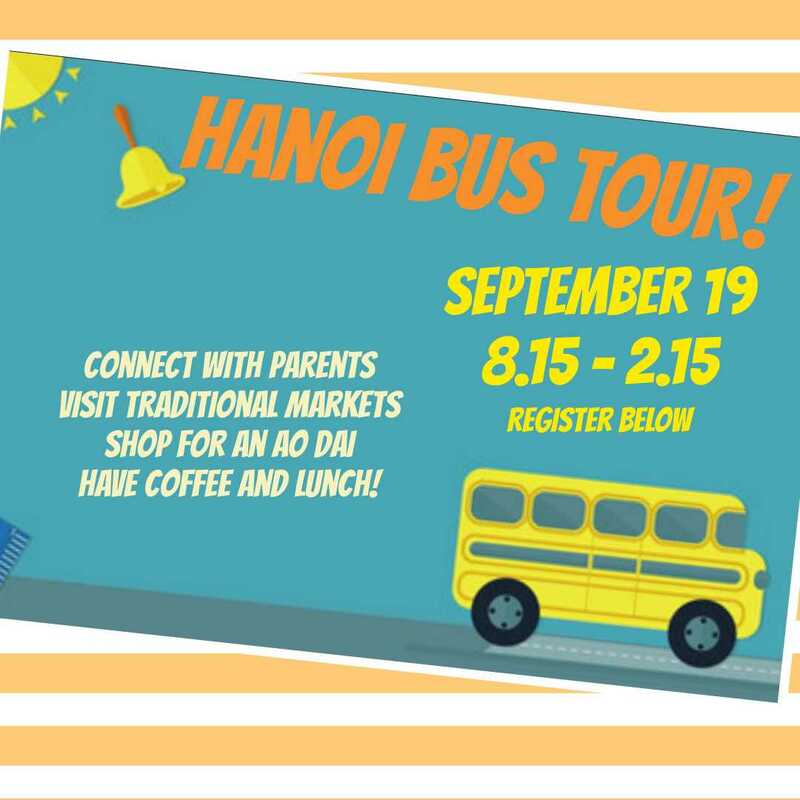 Just a reminder that if you haven’t signed up for the Bus Tour this coming Wednesday, September 19, it’s not too late. Sign up here. Our parent and faculty party of the year is BACK! Bust out those boomboxes, roller skates, teased hair, sequins, jumpsuits, shutter glasses because we are going ‘old school’ and taking you way back to the 80s! Two-hour free flow wine and beer! Surprise guest performance and more!!! You do not want to miss this party of the year! Oh and did we mention, it’s at the Sheraton Deja Vu Bar! Monday – Friday (after school) in front of the library! To make this party rock, the Sparkly Social Committee is looking for parent support to join the decorations and ticket sales team! 80s party people sign-up HERE ! Questions? Feel free to email Esther van Tuijl at sco_ecc@unishanoi.org!